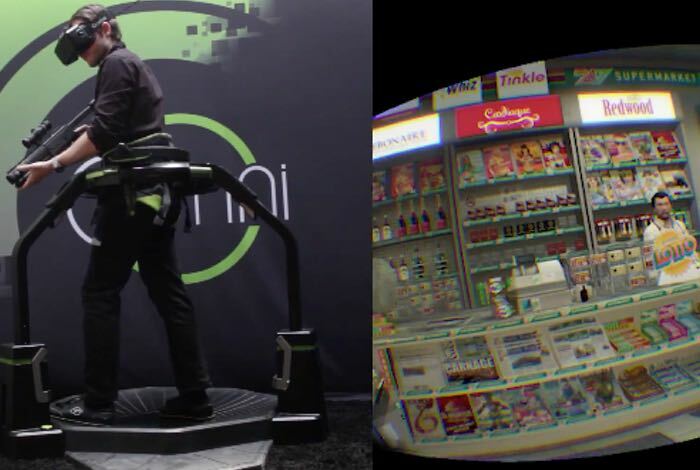 vorpX is an existing application that already allows you to use the Oculus Rift with many existing Direct X games, but now footage has been released showing how the new GTA 5 PC version of the game can be used with the awesome virtual reality Virtuix Omni treadmill. Watch the GTA 5 being playing using both an Oculus Rift and omni-directional treadmill to provide full immersion into the OC version of the hit Rockstar game. The Virtuix Omni was originally funded via a successful Kickstarter campaign and is now being used in a number of virtual reality set-ups using the Oculus Rift and is available to pre-order at the official website virtuix.com priced at $700.